There are so many wonderful things going on here at the Museum Center! We rely on the generosity of members and organizations, either through direct donations or by applying to grants. We have recently entered a competition for a grant from the First Tennessee Foundation and we need your help! A simple click of a button will help us tremendously! 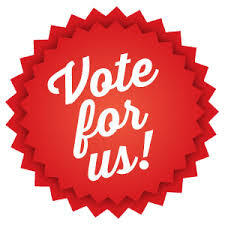 Follow this link and vote for us! Voting is from August 15 - 31, so go ahead and vote now. As always, thank you for your continued support!